This crepe myrtle has the loveliest autumn color! We just re-did this side of our yard earlier this year, so the tree isn’t too large yet. Oh, but what delight! 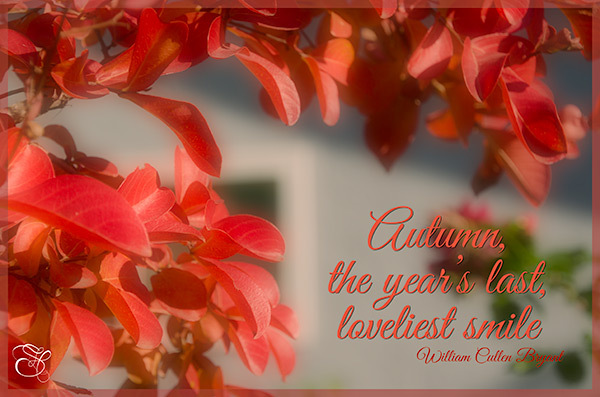 A Facebook friend had used this William Cullen Bryant on a photo of her own, and I liked it so much I used the quote on this image.